BELLEFONTE, Pa. (WPVI) -- Jerry Sandusky is arguing his former defense lawyers didn't properly represent him and wants a do-over of the 2012 trial that produced a 45-count conviction for child sexual abuse. A judge in central Pennsylvania on Thursday heard more testimony in the former Penn State assistant football coach's multi-hearing appeal. The latest witnesses include one of the victims who testified against Sandusky. He says his memories of the abuse changed in part because of therapy and counseling. A witness for Sandusky was a psychology professor who specializes in human memory. A lawyer who represented Sandusky in earlier appeals also took the stand. 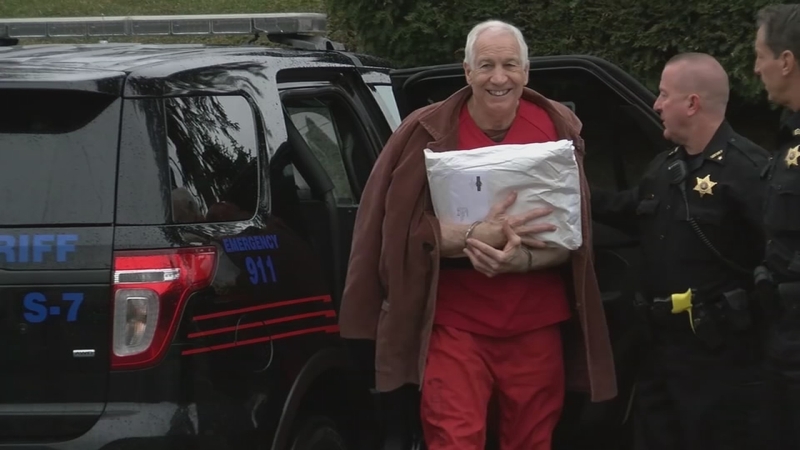 The 73-year-old Sandusky is appealing while he serves 30 to 60 years in prison. The judge says he hopes to rule by summer's end.